Lokking for wedding reception lighting? 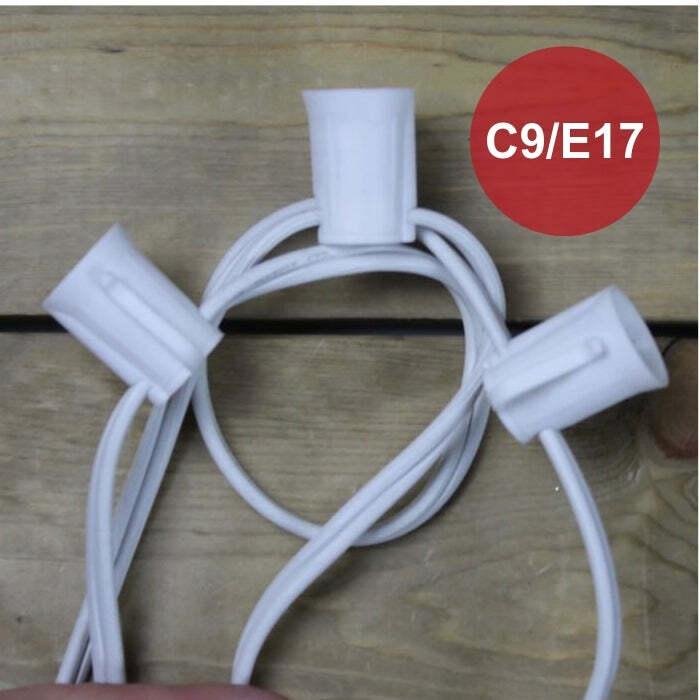 Have a white Christmas tree that needs white wire lighting? 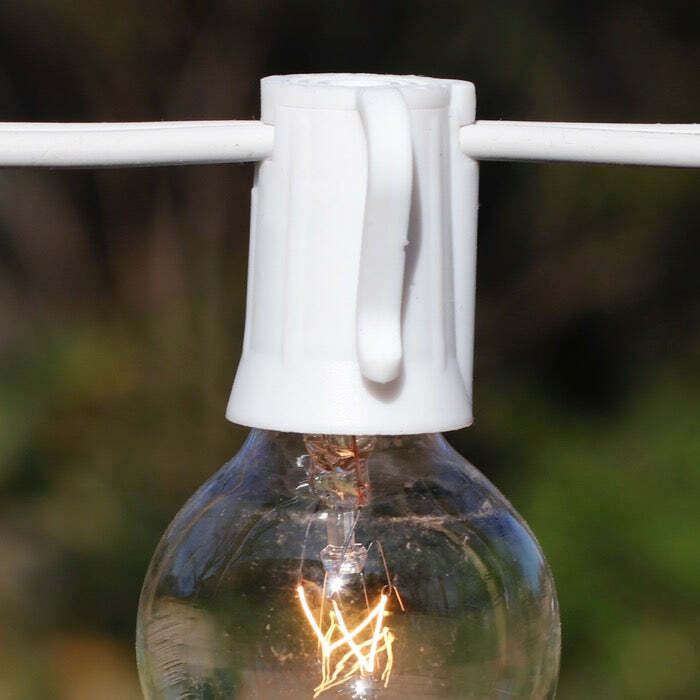 This 100 foot cord has 100 sockets spaced 12 inches apart and looks stunning when matched with our beautiful bulbs. We carry a wide selection of traditional Christmas bulbs in C9 Incandescent and C9 LED. As well as Round bulbs that come in G40 Icandescent and G40 LED (E17 base), G50 Incandescent and G50 LED. 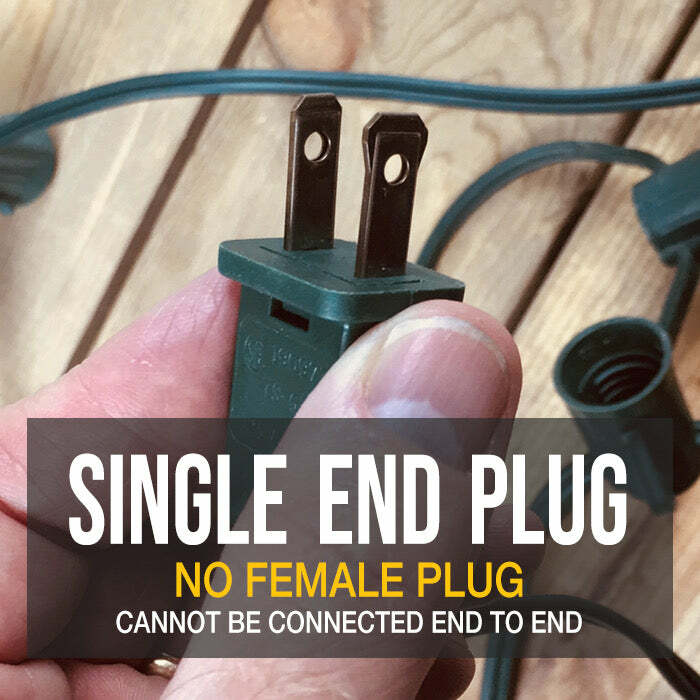 Note, our 100-foot cords are shipped without a female end plug. Instead of running these cords in series if you are lighting over 100 linear feet of lights, we suggest that you "T" out from the splitter on the end of a commercial grade extension cord or use a splitter. Again, consult with a master electrician for all electrical questions and assistance. Please contact us if you have any questions. Please contact a Master Electrician if you need assistance switching out the male end plug. Finally! A string of lights that is constructed to last more than one season. I look for value, not low price when I purchase something. This string may not be the cheapest option, but the cost factored out over it’s useful life should prove to be a bargain. The 20ft lead to the first light is a great touch. It allowed me to get up to the edge of the roof without light bulbs strung up the side of the house.